Hello, and welcome to my first unlocked article! Today we’ll touch briefly on the banned and restricted list update from 7/13. Then we’ll move on to the meat of today’s article, a speculation technique designed for those that aren’t looking to become cardboard stock traders, but rather simply want to make Magic a little cheaper to play. No changes to the banned and restricted list, eh? 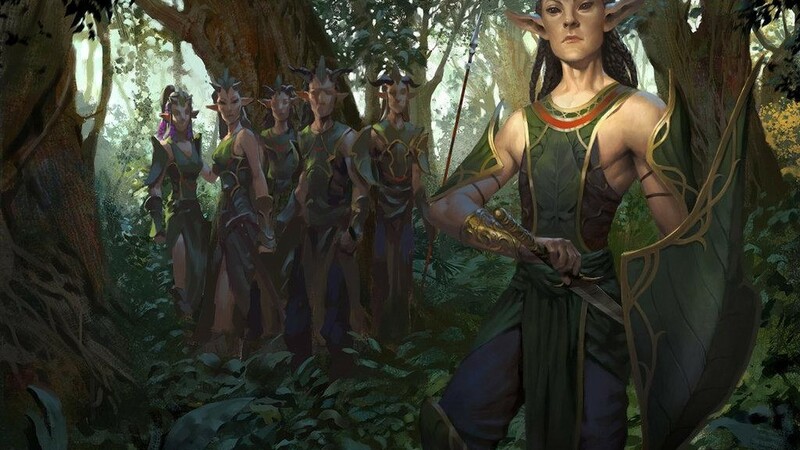 In the cycle of B&R updates, we were in the “something is going to change” phase, as evidenced by the fact that plenty of people were taking to Twitter to voice their (often terrible) opinions. I’m a bit surprised Wizards hasn’t seen fit to remove some part of Amulet Bloom from the format. While it dodged removal once again, I still am not confident it’s here to stay. Part of the reason that deck hasn’t taken over Modern yet is that it’s incredibly difficult to play well, requiring months of practice to pilot optimally. Even Justin Cohen, who made top eight of a Pro Tour with the deck, was making mistakes on camera that could have won him games multiple turns earlier. Due to the challenging nature of the deck, most players can’t just sleeve up 75 and head to the local PreTQ. Right now, we’re only seeing highly skilled and dedicated players achieving. If Amulet Bloom were more simple to play, akin to the now-banned Blazing Shoal infect deck, it would be gone. Perhaps its resistance to being piloted properly will save it from the banned list altogether. It’s hard to say. The power level is certainly there, though. Goryo’s Vengeance is the other card a handful of people were hoping to see exit the format this week, which would have been premature. I have thought for years that the card will eventually be banned, and I still expect that to come true at some point. The card is capable of killing an opponent on turn two, or even turn one in conjunction with perennially questionably legal Simian Spirit Guide. While Grishoalbrand may prove to be the list that finally forces Wizards’s hand, we aren’t there yet. This Modern season will likely provide the data it needs to decide whether Goryo has had enough vengeance for awhile. Oh, and people think Sensei’s Divining Top should go in Legacy. I’m sympathetic to this cause, if only on the issue that the card is miserable for tournament logistics. It’s banned in Modern because of how much time it eats off the clock, and Legacy’s card pool only exacerbates that issue. It would be nice if we had infinite time in which to play, but sadly, that is not the case. I wouldn’t want to be holding on to spare Tops and Counterbalances by the time Battle for Zendikar rolls around. My behavior is not noteworthy here. I’m not the only finance-oriented individual to have done this, and I won’t be next time, either. That’s not what’s interesting. The reason I bring this up is that as I was buying copies of Palace, a friend in our local MTG Facebook chat of about seven people said that he too was buying copies. This surprised me, as this particular individual is entirely a player, not a finance hobbyist. I’ve never once seen him speculate on anything. He doesn’t like foils, as they add nothing to the gameplay experience, and hey, any foil copy could instead be two nonfoil copies. I’ve seen him hand over 30 dollars of cold hard cash to someone for an Elspeth, Sun’s Champion when they were available on TCGplayer for under 25 bucks. His interest in the game is exactly that: as a game. As it turns out, he purchased exactly four copies. A single playset. While he saw that the likelihood of the card rising in value was great enough that it warranted buying in immediately, without waiting for results, he still chose not to buy any extra copies. He now has his $10 set of Gilt-Leaf Palaces, with no copies to spare. I was a bit struck by this decision, as if you’re confident enough the card is going to rise, why wouldn’t you pick up some number of extra copies in an attempt to profit? It’s not terribly difficult, and you don’t need to be heavily invested in the sales process to to make it worth your while. A technique that many players use, myself included, is a “one for me, one spare” technique in speculating. Or “one for me and one for TCGP,” which rhymes if you pronounce it “T-C-G-P.” A handy little mnemonic for you there. While you won’t make much money doing this, the two-set purchase has several benefits. The process is simple. If you see a card that you want a playset of, in part because you expect the price is going to rise soon, buy two. Keep one, and sell the other one. It’s simple enough. The idea is that the second set will rise in value enough that your profits will at least partially cover the cost of your own personal set, and at best will completely cover your price of entry. Here are two examples: one real, one theoretical. Alex predicts that Gilt-Leaf Palace is almost definitely going to rise in price, with at least enough confidence that he knows he should buy a set now in case he wants to use them. Rather than buy a single set, though, he buys one extra, for a total of eight cards. After the price jumps to over $10 per NM copy, he sells the spare set on eBay for a competitive $35 in order to ensure he actually puts money in his pocket. He ends up with roughly $30 after fees, and with a buy-in of maybe $10 for the set of Palaces, he’s made $20. His own personal set cost $10, so not only has he covered his personal set, he’s made $10 in the process. Alex buys the same number of copies, but Gilt-Leaf Palace never spikes. He’s now spent about $10 he wouldn’t have otherwise. He puts the extra playset of Palaces in his binder and trades them to someone else that’s looking to play GB elves at some point, netting himself a Bloodstained Mire, a card he still needs for Standard. Now he spent $10 for a Mire, which is retail cost. The end result is that he paid $10 for his Palaces, which he would have done anyways, and $10 for a Mire. Stormbreath Dragon was pre-ordering on ABU for $15 a copy. I wanted a personal set to play with, and at the same time, I thought that $15 a copy was too low for what I expected would become a banner mythic. We were coming off Thundermaw Hellkite, a similar card that had at one point been $50, and even if Stormbreath ended up being bad (which it wouldn’t), it would experience at least enough popularity to rise above $20, if only temporarily. I picked up three playsets at $60 a set. Stormbreath ended up hitting the street around $25 per copy, and according to my PayPal sales history, I sold sets for around $95 each. At $30 profit per set, the first two meant that the third was free. What sets the “one for me, one for TCGP” rule of thumb apart from general speculation is mostly twofold: A) it’s a strategy that doesn’t seek to make as much money as possible, but rather, there’s a clear profit goal, and B) it minimizes risk. When engaging in true speculation, you buy as many copies as you can at whatever price you feel falls below the threshold of risk. Your goal is to make as much money as possible. With the two-for strategy, however, you have a clear number in mind: exactly the cost you paid for a single set. This matters because it is not an infinitely scaling ambition, but rather, it is limited in its scope. Why do we want to limit our scope, rather than shoot for the moon? The reason for that leads us directly to B, which is that you minimize your exposure. When Alex buys only a single extra set of Palaces, he isn’t putting himself in a position where he may lose a large sum of money. He’s not going to be out $100 because whoops, Palaces are in Origins. If he’s locked himself into buying at least a single set, the extra set only opens his exposure up to a single set’s value. Compare that to speculating in earnest, in which case you may buy hundreds of copies of a card, with your risk profile now tens or even hundreds of times greater than the cost of a single personal set. Concerns over scale make this another great method for players, rather than economists, to play Magic for (sort of) free. If I buy 100 copies of Eidolon of Blossoms and it triples in value, that’s all well and good, but it means nothing until I have money in my pocket. I have in the past spoken about how difficult it can be to actually profit from a situation like this. When you’re only dealing with a single extra set, though, you don’t have nearly as many issues to contend with. You don’t have to deal with shipping twenty or thirty packages, nor do you need to learn what a buylist is and then ship to three different vendors to maximize your profits. Rather, since there’s only one extra set of cards, the methods available to profit are numerous and simple. Sell the card on eBay. If you’re able to purchase cards on the internet, you can sell on eBay. While eBay is not a preferred method for regularly selling large quantities of cards, selling a single playset is just fine. Sell the card locally. Whether the deal is hammered out at a kitchen-table draft or you post to your town’s Magic Facebook page, it’s a face-to-face transaction that eliminates risk and fees. You could never sell 25 playsets this way, but a single set is easy peezy. Trade the set away. As we saw in the theoretical example, trading is a perfectly reasonable way to move a single set of cards. Chances are you can find at least one person who didn’t get in early yet still wants a personal set. You can trade your spare set for Standard cards you’re in need of, or just any decent Standard or Modern staple that you can turn into something more useful at a later date. Trading one or two sets is easy; trading twenty-five is nearly impossible. As the number of extra cards you’re looking to sell increases, certain paths begin to close themselves off to you. Trading piles of playsets locally is going to be extremely time-consuming, if not impossible. When you’re in possession of only a single extra set, though, finding avenues to rid yourself of it is not difficult. If you’re a player, not a financier/hobbyist, your goal isn’t to supplement (or outdo) your professional income by swapping cardboard. Your goal is to play Magic. Magic is an expensive game, though, and the costs can catch up to you quickly. Through the technique of “one for me, one for TCGP,” you can ameliorate the high costs of card acquisition by doubling up on your purchases before cards rise in value. It’s a simple technique that’s low risk, easy to manage, and quite profitable given the effort involved. You may be thinking, “Okay, great, but how do I know which cards are going to rise in price?” Well, dear reader, for the answer to that, keep tuning in to my and others’ articles!